Early Registration Deadline Extended - The early registration deadline has been extended until April 14. 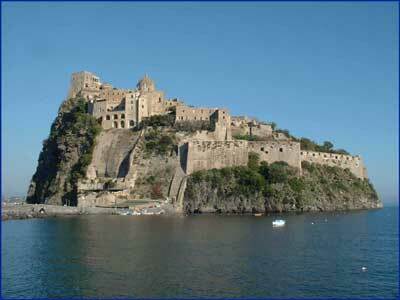 Join us in Ischia! Student Travel Grants Available - Travel grants for students are available. Please FAX your request to Carsten Trinitis, Registration Chair at +49 89 289 17662 before April 15. Include your name, a photocopy of your current student ID card, and indicate whether or not you will be presenting a paper. Authors are invited to submit papers on all areas of innovative computing systems that extend the current frontiers of computer science and engineering and that will provide advanced systems for current and future applications. Selected papers will be published in special issues of the ACM Journal of Emerging Technology in Computing Systems or the Journal of Instruction Level Parallelism. Submitted manuscripts should not exceed 20 double-spaced single-column pages, including figures, tables, and references. Submission implies that at least one author will register to attend the conference and present the paper. Submissions must be made electronically as Adobe PDF files at http://cf06.ac.upc.edu/.